3D Technology is the organization which is usually developing the Server Racks or Server Cabinets, Network Racks or Network Cabinets, in sizes of 6U, 9U, 27U and 42U. Where complete accessories are also available like Fixed Tray, Sliding Tray, Cantilever Tray, Fans Set or wheels etc. The Racks or Cabinets are available in Karachi and Pakistan in Glass or Perforated doors as well. 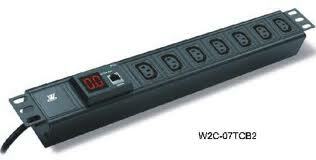 We are also dealing with PDUs (Power Distribution Unit) in 6 ways of British and IEC Standards. The ways of sockets can be developed according to the requirement of the customer (If in good quantity).